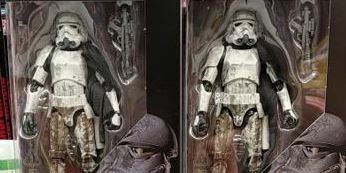 Thanks to some excellent Toy Fair photos courtesy of Justin LaSalata, we can do a little side by side shot of the upcoming Stormtrooper releases coming in The Vintage Collection (Han Solo and Rogue One version). Check them out after the jump! 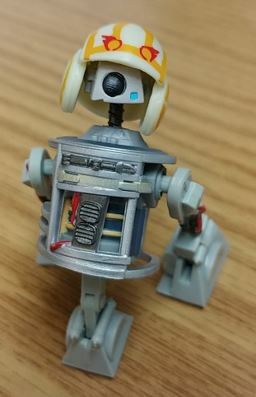 While Hasbro’s performance over the past year(s) has been pretty disappointing for most 3.75″ fans, I must say they surprised me with the attention they gave the new R1-J5 droid in the Resistance toy line. I highly recommend picking up this figure if you see it, even if you are passing on the rest of the line. 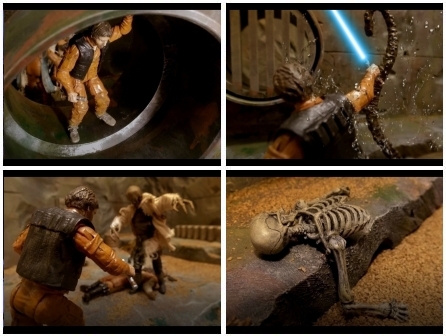 This is a cool toy and reminds me of the product they were pushing a decade ago – check out more pics of this droid (including his removable part features) in the forums. If you’ve been at your local Walmart lately, you may have noticed that the toy aisles are resetting, clearing out the old, and making room for the new. 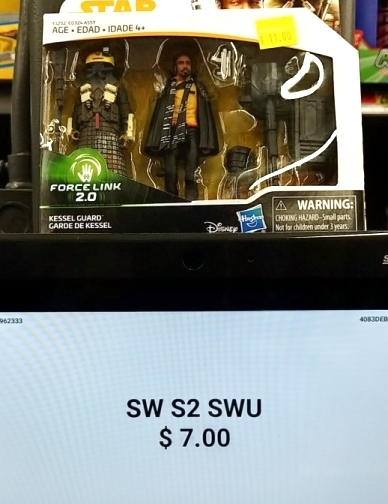 Among the clearance items you will likely find are products from Solo: A Star Wars Story, and you might want to scan them because the marked clearance price may not reflect the full markdown. Find any bargains? Share your finds here on in our forums!